I just wrote a blog post about old favourites, so I started thinking about the books that other people might put on their lists of favourites. 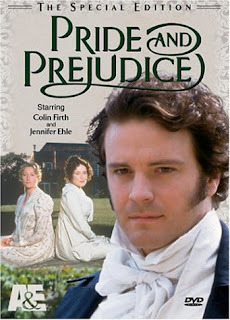 I’m quite certain that a lot of people would put Pride and Prejudice on their list. It seems to be the ultimate comfort book that people read over and over again, love beyond words, and know by heart. My confession, however, is that I’ve never read it. Believe me, the gasps have been heard, loud and clear! The problem now, though, is that I’m very excited about the much-hyped Pride and Prejudice and Zombies by Seth Grahame-Smith, but it’s not making any sense without knowing the original! I think Grahame-Smith is a pretty smart man: capitalizing on one of the biggest comfort books around. It may also be a clever ruse to force people to read a classic! It’s certainly working on me, as I’m about to embark on a P&P marathon: I’ve checked out the original Wordsworth Classics paperback, the new Zombies edition, and a DVD copy of the BBC miniseries (I’ve been promised heart palpitations when Colin Firth … well, something about water and a wet shirt). It’s interesting what can bring a reader into a book. Readers’ Advisors talk a lot about appeal factors (like plot, characters, setting), but sometimes it’s as simple as pop culture relevance. I’ve put Dickens’ Bleak House onto my “to read” list because my obsession with Gillian Anderson drew me into the Masterpiece Theatre filmed version which I found surprisingly compelling and entertaining. 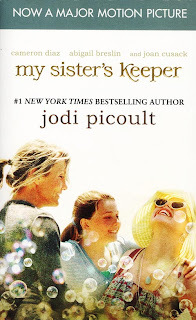 I had never read a Jodi Picoult book before, but Entertainment Weekly wrote a prescient article several months ago, anticipating an uproar over the movie screenwriter’s decision to completely change the story’s ending. I didn’t feel like I could jump into that fray until I had at least read the book. Where I had anticipated schmaltz, I found real depth of character and emotion, and I found myself honestly caring about most of the characters. Written from several different perspectives, Picoult leaves her reader struggling to decide who’s right and who deserves the most sympathy. It’s a challenging story. Does pop culture influence what you read? Do you watch the movie or read the book first? Do you rail against horrible casting mistakes? Did you read Twilight because everybody else was reading it or will you wait until the furor dies down so you can read it in peace? I hate literary snobbery - so what if you never read PnP - let them gasp self-importantly and then laugh at them. In the same vein, literary bandwagons are Dan Brown and JK Rowling get tiresome as well.